Just a few days ago, many observers outside Mali believed that the CNRDRE junta responsible for ousting President Amadou Toumani Touré (ATT) last month had departed the political scene, having handed control of the state to a civilian government. Events of this past week have shown not only that the junta wants to continue wielding power on Mali’s political scene, but that its leaders are skilled political tacticians. A residual category of individuals I can’t place in any of the above three categories; these include prominent presidential candidate Soumaila Cissé and a banker named Babaly Ba. While Cissé had no connection to ATT’s government, Ba was reputed to be close to certain members of ATT’s entourage. I spent much of the last few days puzzling over what this list of detainees signified, and what if anything the individuals arrested have in common. The CNRDRE has issued vague statements that the detainees were hatching a sinister plot, but these statements cannot be considered credible. Nothing links all these individuals together, and it defies belief that these heterogeneous elements could form a cabal… though some of them could conceivably be in league with each other. Was the junta trying to assure its leaders’ own security by simultaneously targeting its most vocal political opponents (category 1) and top defense and police officials (category 2)? Maybe. On this score it’s noteworthy that since the coup, CNRDRE head Captain Amadou Sanogo has rarely left his headquarters in Kati’s Soundiata Keita army base. He clearly believes his power, and perhaps his life, are threatened. This week top officials in the civilian government went to see him, not the other way around. The junta might also have been hoping to score political points with ordinary Malians, and especially Bamakois, by going after some of the people most closely associated with the unpopular ATT regime (category 3). These days it’s hard to find people in Bamako who won’t tell you that the political apparatus under ATT was corrupt to the core, or who express sympathy for all those big-shots who have now been humbled. Pro-junta journalists love to speculate about all the sins those arrested might have committed both before and since the coup. But it’s the combination of all four categories that suggests another purpose to the junta’s crackdown this week, and I suspect I know what that purpose was. The arrests began, not coincidentally, at the same moment that Mali’s transitional prime minister was named. 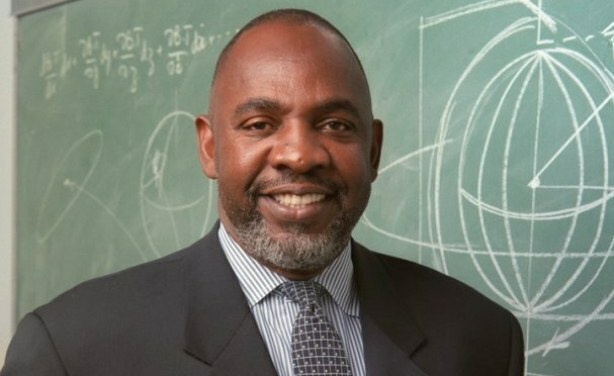 Dr. Cheick Modibo Diarra (CMD) is a political outsider but a familiar name here: a physicist by training, he gained fame working on NASA’s Mars Pathfinder mission in the 1990s, then headed Microsoft’s operations in Africa before becoming a candidate for the presidential elections that had been expected later this month. He is now officially in charge of forming a cabinet, organizing elections and reunifying his secession-split country — not necessarily in that order. Behind the scenes, the CNRDRE has been maneuvering to claim key ministries in CMD’s new government. The haggling over which ministerial portfolios would go to which parties and factions was intense, and lacking outside political support the junta had little leverage in these negotiations. After the wave of arrests occurred, however, junta leaders had valuable bargaining chips in their possession, notably key figures of two of Mali’s largest and most powerful political parties — ADEMA (Kassoum Tapo) and the URD (Soumaila Cissé). Their being in military custody sent a chill through Bamako’s entire political class, with the heads of all major parties suddenly fearing for their own safety. It seems likely the junta only agreed to set its detainees free in exchange for increased influence in the new government. This would explain the odd mixture of people arrested — a diverse political portfolio — as well as the fact that the military released all of them without a protest, despite having (indirectly) accused them of treasonous activities. What lesson can we learn from this week’s events? Don’t underestimate the CNRDRE leaders, who have shown more political cunning than many of us initially gave them credit for. They know how to use power to achieve their aims without overplaying their hand. In light of the junta’s keen survival instincts, it will prove difficult to isolate, marginalize or weaken Sanogo and his followers in the weeks to come. Footnote: My analysis in the last two paragraphs above hinges on the reporting of the Bamako-based daily L’Indépendant which, aside from being one of Mali’s most respectable newspapers, correctly predicted Cheick Modibo Diarra’s nomination as prime minister. But it can still get things spectacularly wrong, as when it reported last week that Cheick Modibo Diarra had persuaded the U.S. to send Apache helicopters to help the Malian government combat the rebellion in the north. This entry was posted in Uncategorized and tagged amadou sanogo, Amadou Toumani Toure, bamako, cnrdre, mali, politics. Bookmark the permalink.